I told a friend I was making Scotchies this week and was met with a confused expression. “What the heck is a “Scotchie” she asked??? I answered that she had probably already tried Scotchies or maybe even made them herself and just didn’t know it. 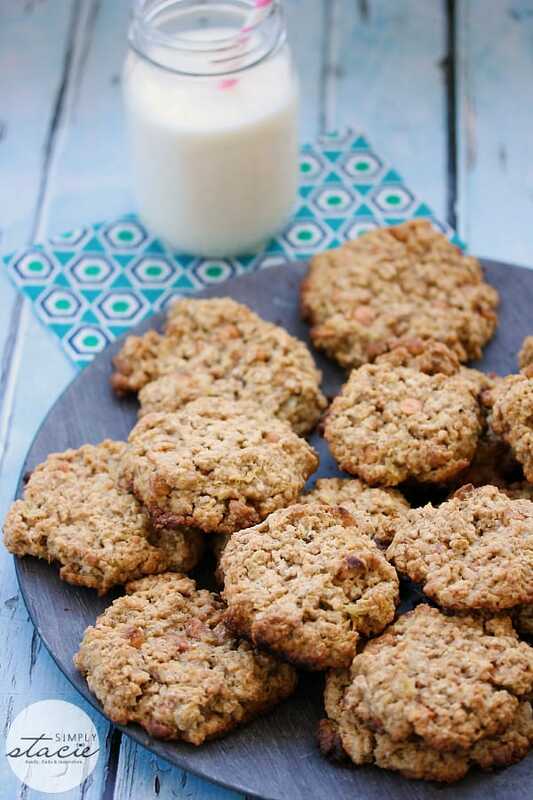 A Scotchie is simply a cookie that contains two important ingredients: Oatmeal + Butterscotch. That’s a winning combination if I do say so myself! 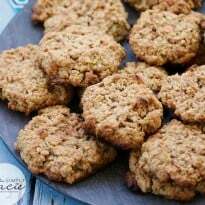 I made a batch of Pineapple Oatmeal Scotchies that I found in my Favorite Brand Name Bake Sale Cookbook. I was curious to see if the pineapple would overpower the flavour of the butterscotch, but was pleasantly surprised it didn’t and added a slight sweetness to it. When you bite into one, the first flavour I noted was the butterscotch. They are chewy, moist and really easy to make. I had all the ingredients in my pantry. If you don’t like pineapple, just leave it out and make a batch of regular ol’ Oatmeal Scotchies. 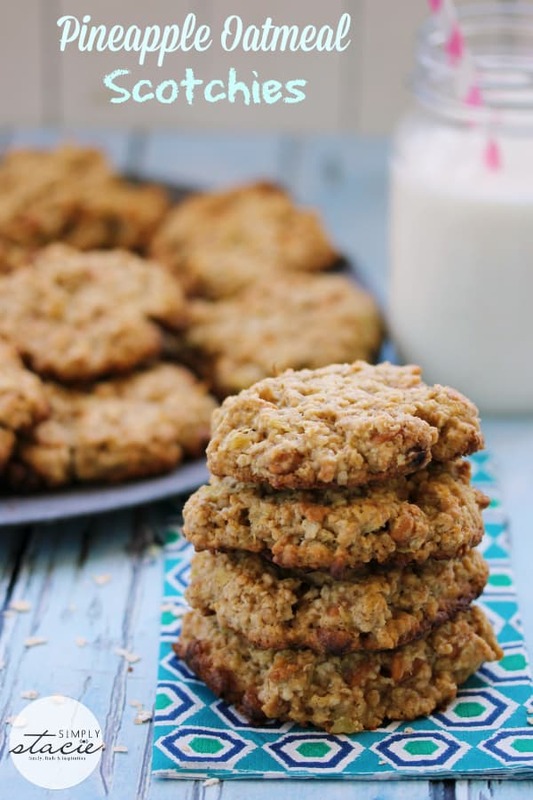 For more oatmeal recipes, check out my friend’s recipe for Oatmeal Raisin Cookies. Craving butterscotch? Try my Butterscotch Blondies. You might also like this Oatmeal Pie. The chewiest, moistest cookie you will ever make! Beat butter and brown sugar with an electric mixer (I use my KitchenAid Mixer) on low speed until light and fluffy. Add in the egg and pineapple and beat on low until combined. Mix together dry ingredients in a large bowl. Add in pineapple mixture and stir to combine. Stir in butterscotch chips. Grease cookie sheets and drop two tbsp of cookie batter onto it. Flatten the cookies slightly with the back of a spoon. Bake for 15 to 20 minutes or until browned. Cool on a wire rack before serving. Makes 2 dozen jumbo cookies or 3 dozen regular sized cookies.